Super fun. We at IGIS and the Kellylab are working with Drone Scholars on the #Fly4Fall project. Fly4Fall: A citizen science experiment for crowd sourcing UAV data. Our big Hopland scientific bioblitz is this weekend (9-10 April, with some events on the 8th) and I look forward to seeing many of you there. If you can't make it to HREC, there are many ways you can remotely help us and check out what is happening all weekend long. HELP US OUT. http://www.inaturalist.org/ Many people will be using iNaturalist to make and share observations. Helping out the effort is easy. Look for observations at the iNaturalist site by searching for "Hopland" in the "Projects" pulldown menu and choose "Hopland Research Extension Center". Once there, you can browse the plants and animals needing identification and needing confirmation. Every identification counts toward our goal of massively increasing the knowledge of the HREC's flora and fauna. VOTE ON IMAGES. http://www.hoplandbioblitz.org/ We are hosting an image contest for the plants and animals of HREC. Great prizes will be given for images that get the most votes(REI gift cards and a GoPro grand prize!). Please visit the site and vote for your favorites frequently during the weekend and share them and then sit back and what the slide show. CHECK US OUT. 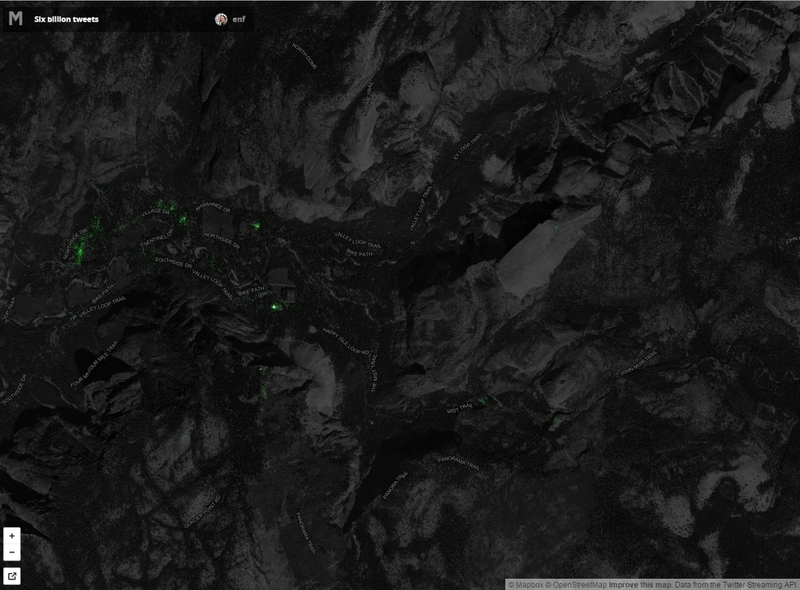 http://geoportal.ucanr.edu/# Our new app will graphically show you our progress for the bioblitz observations. Results will be updated every 15 minutes. See how your favorite groups are doing in the challenge to document as many species as possible. I spent two days at the California Economic Summit, held this year in Ontario, heart of the "inland empire". I learned much about this region of the state that I know mostly as freeways connecting water polo games, or as endless similar roads through malls and housing developments. It is more populous, diverse, and vibrant than I had realized. The conference itself was very different from any that I have been to. Hardly any presentations, but break-out groups, passionate, inspiring panelists, tons of networking, good overviews, multiple perspectives, and no partisanship. 80% of CEQA lawsuits are related to urban infill development. Shocking. We need infill development as a sensible solution to a growing California. 1 in 3 children in the Central Valley live in poverty. 1 in 4 kids live in poverty in the inland empire. These rates are WORSE than they have been ever. The Bay Area is an anomaly in terms of education, income, health, voting rates, broadband adoption. The Bay Area is not representative of the state! Think of a west-east line drawn across the state to demark the population halfway line. Where might it be? No surprise it is moving south. Now it runs almost along Wilshire Blvd in LA! Empowering the Latino community in the state is going to be key in continued success. Broadband adoption around the state is highly variable: Latino, poor and disabled communities are far below other communities in terms of adoption. The first beer made with recyled water has been made by Maverick's Brewing Company. Dragon Fruit might be the new water-wise avocado. Good anti-oxidents, massive vitamin C, good fiber, etc. They taste a bit like a less sweet kiwi, with a bit of texture from the seeds. I don't think I'd like the quac, however. In 15 years, the state will be in a deficit of college graduates needed to meet skilled jobs. Those 2030 graduates are in 1st grade now, so we can do some planning. Access, affordability, and attainability are the cornerstones of our great UC system. In every session I attended I heard about the need for, and lack of collaboration between agencies, entities, people, in order to make our future better. 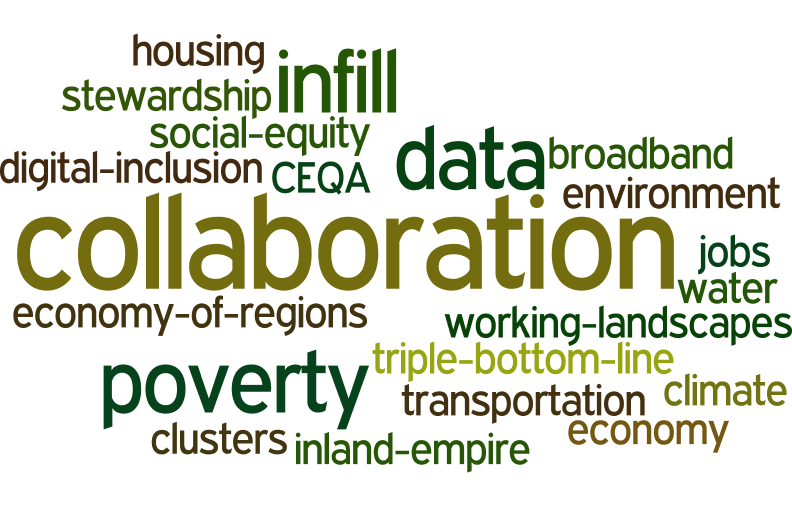 Here is my wordle cloud of discussion topics, from my biased perspective, or course. Last night we heard the Berkeley Boom again. We’ve been hearing this thunderous boom quite frequently in the last month here in Berkeley, but this one sounded bigger than most. Car alarms went off on the street. The dog jumped. “What IS that?” I wondered aloud. With a quick search on the internet I found that that the Berkeley Boom is a phenomena whose Twitter reports are being actively mapped. 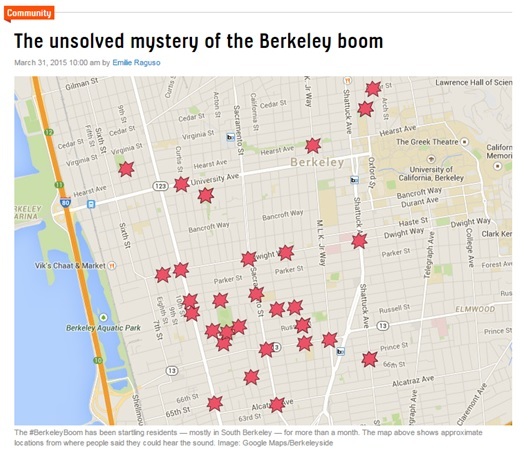 While Berkeley police and residents still have no idea what the mystery boom is, through the combined powers of social media and mapping we are gathering an understanding of where it is happening. As Berkeley residents continue reporting the boom (#BerkeleyBoom), perhaps we’ll get to the bottom of this, the newest of Berkeley’s many mysteries. 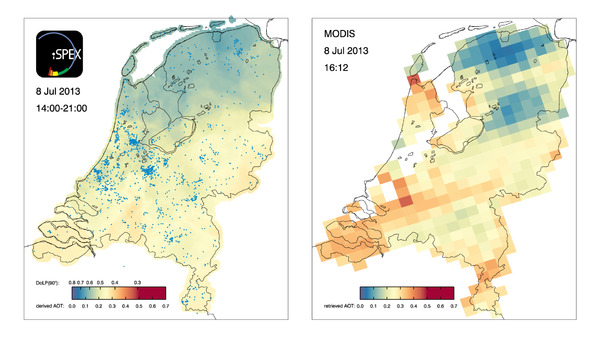 iSPEX map compiled from all iSPEX measurements performed in the Netherlands on July 8, 2013, between 14:00 and 21:00. Each blue dot represents one of the 6007 measurements that were submitted on that day. At each location on the map, the 50 nearest iSPEX measurements were averaged and converted to Aerosol Optical Thickness, a measure for the total amount of atmospheric particles. This map can be compared to the AOT data from the MODIS Aqua satellite, which flew over the Netherlands at 16:12 local time. The relatively high AOT values were caused by smoke clouds from forest fires in North America, which were blown over the Netherlands at an altitude of 2-4 km. In the course of the day, winds from the North brought clearer air to the northern provinces. Reds are Yes, blues are NoHere is a map of voting results from yesterday's historic independence vote in Scotland. Overall the Nos carried the day - 55% - 45%. Interestingly, Motherwell and Hamilton, two towns in my family's life, were split. Motherwell voted Och Aye and Hamilton voted the Noo. “Moment of Truth—and she was face to faces with this small herd…” Photo and comment by Flickr™ user, Doug GreenbergIn a recent open access journal article published in Envrionmental Management, colleague Sheila Barry explored the use of personal photography in social media to gain insight into public perceptions of livestock grazing in public spaces. In this innovative paper, Sheila examined views, interests, and concerns about cows and grazing on the photo-sharing website, FlickrTM. The data were developed from photos and associated comments posted on Flickr™ from February 2002 to October 2009 from San Francisco Bay Area parks, derived from searching photo titles, tags, and comments for location terms, such as park names, and subject terms, such as cow(s) and grazing. 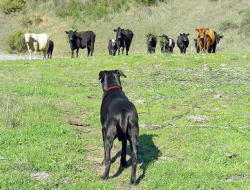 She found perceptions about cattle grazing that seldom show up at a public meeting or in surveys. Results suggest that social media analysis can help develop a more nuanced understanding of public viewpoints useful in making decisions and creating outreach and education programs for public grazing lands. This study demonstrates that using such media can be useful in gaining an understanding of public concerns about natural resource management. 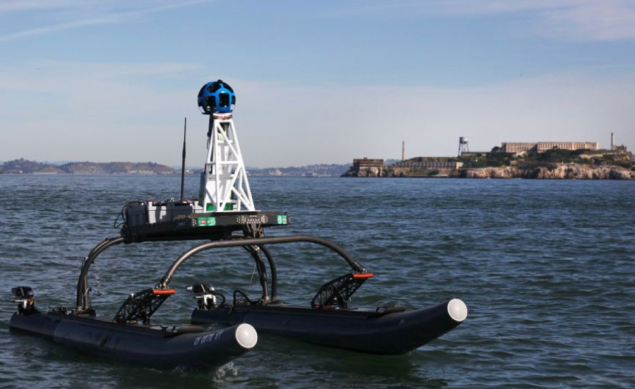 Very cool stuff! In a recent article published in the Guardian, Michelle Kilfoyle and Hayley Birch discuss the widespread use of citizen science initiatives. They recently produced a report (pdf) for the Science for Environment Policy news service, in which the authors review a number of citizen science case studies, and explore the potential benefits of citizen science for both science and society, especially given the advent of new mobile technologies that enable remote participation. They also ask interesting questions about who really benefits the most from these developments: the amateurs or the professionals? How could new and developing technologies help citizen science projects feed into environmental policy processes? Is environmental data produced by citizen scientists as accurate as environmental data produced by professional scientists? How can citizen science benefit environmental monitoring and policymaking?